This month, as ever, we spoke with some incredible guests on the Social Pros Podcast: the Twitter expert author of “twitter power 3.0,” Verizon’s authority on customer insights from social media, a global digital marketing leader from Philips, and a social customer support pro from Jackson Hewitt. May’s Social Pros guests come from varied backgrounds and experiences. Their expertise and passions range from Twitter to video content to social media market research. The one thing they have in common? They’re all talking about customer support on social media. It’s very simple: Companies who are committing seriously to customer support on social media are reaping the benefits; companies who aren’t responding to customer requests and issues on social media are suffering. This month’s Social Pros all understand the importance of a solid social customer support strategy. 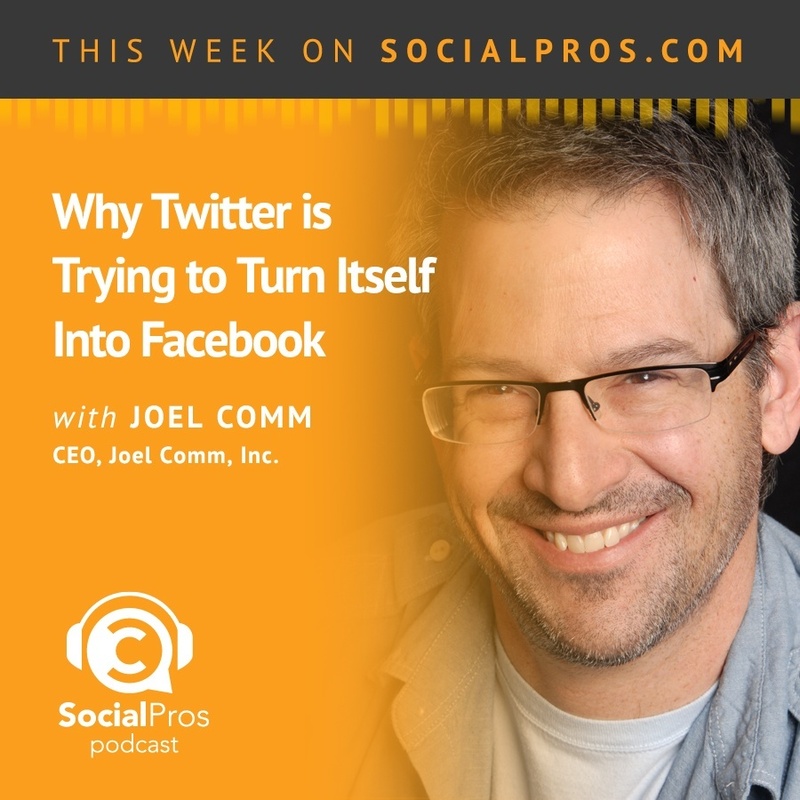 Joel Comm is the CEO of Joel Comm, Inc. and author of “twitter power,” originally released in 2009. He co-authored the most recent edition, “twitter power 3.0,” with Dave Taylor and says this may be the last word he has to say on Twitter, at least until it becomes Facebook. As a Twitter expert, Joel has plenty of suggestions and criticisms for Twitter. He thinks they should allow more characters and could do a much better job of onboarding and activating users, instead of allowing them to be passive. When Joel signed up for Twitter in 2007, his first Tweet was something about trying to figure out how to use it. Then he didn’t Tweet again for six months. If someone like Joel who is a techie and social media expert couldn’t figure it out, then how do they expect the average user to pick it up? I say do whatever you want to do. Just make it effective and work for your customers and yourself. But one thing that Joel thinks is going very well on Twitter is the customer support angle. Companies who are meeting expectations (42 percent of Americans who complain on social media expect a response within 60 minutes) are finding it to be a great way to build brand support. However, the average response time is about 5 hours! There is a big gap between customer expectations and reality, which is causing issues for companies who aren’t able to meet those expectations. Joel is of the opinion that there isn’t a right way to do social media customer service, it just depends on what works for your company. If you’re a company who is finding it effective to have a separate @help or @support handle, great. But that doesn’t mean everyone needs an @help handle. You’ve just got to experiment and see what works for you. 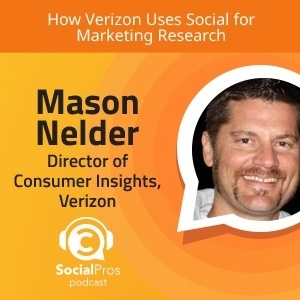 Mason Nelder takes a bird’s eye view of social media as the Director of Consumer Insights at Verizon. He’s looking at social media platforms as places to do market research and learn more about Verizon’s communities and build connections with different segments of their audience (from individuals to the government). I think we should give the ability for every customer’s question to be answered on social media. Many companies out there don’t have the bandwidth to cover customer care on every social media platform that their audiences are using, and that’s to be expected. It’s not scalable for one company to answer every question in the digital space, especially not with the huge amount of volume a company like Verizon sees. Instead of trying to do customer care in every single channel possible, Verizon chooses channels that will be the most helpful and then set them up to do it right. Frequently they’ll see people on channels they don’t support saying, “Hey, they may not be supporting you here, but you can go there instead.” They work to educate customers, letting them know where to go and how to better gain access to information and solve problems. 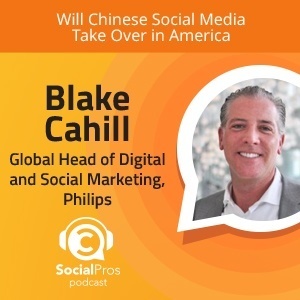 As the Global Head of Digital and Social Marketing at a company as large and international as Philips, Blake Cahill sees social as much more than marketing. You can get product research, build communities, tie it to your products, and provide customer care. To Blake, customer care looks different on different platforms. The people behind customer care on platforms like Facebook are more marketers, because Facebook is more of a relationship-building platform. But on Twitter, people tend to have a real customer service issue and need to get it handled right away. So the customer support team on Twitter needs to include the people that actually understand the product or reservation system (like for an airline) to fix things on-the-fly with real-time issues. One thing I always carry into my marketing roles is the customer being front & center. 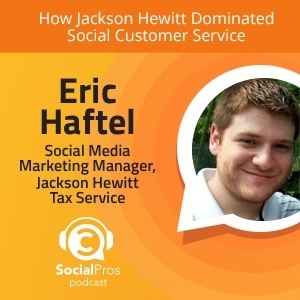 A very large part of Eric Haftel’s job as the Social Media Marketing Manager at Jackson Hewitt Tax Service is handling customer service on social media. During tax season, that’s no small task. One of the biggest customer support challenges Eric faces at Jackson Hewitt is also his biggest advantage. Jackson Hewitt has a corporate component, but is mostly a franchisee business. Balancing the voice and involvement of Jackson Hewitt’s franchisees can be tricky, but they’ve work out a system that works for everyone. You have to make sure that customers know that we care about them and we care about the problem. Franchisees help come up with promotions and incentives because they know so much about the business and how to take care of the customers. When customers share positive feedback on social media, Eric encourages franchisees to share the good news. On the other hand, negative feedback can be difficult for the franchisees to handle. It’s hard to take a step back and avoid being defensive when you are the one doing the work. That’s why they’ve set up a system in which Eric and his team can make the first step in communicating with unhappy customers. “That’s where I think it’s actually much more beneficial for me to come in, because I am so far removed to the customer.” Eric gets to the bottom of how the customer feels. Then, it’s easier for the franchisee to get the information from Eric to be better equipped to handle the situation and make it right.